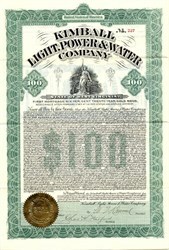 Beautiful $100 uncancelled Gold Bond Certificate from the Kimball Light, Power & Water Company issued in 1912. This historic document has an ornate border around it with a vignette of an allegorical woman. 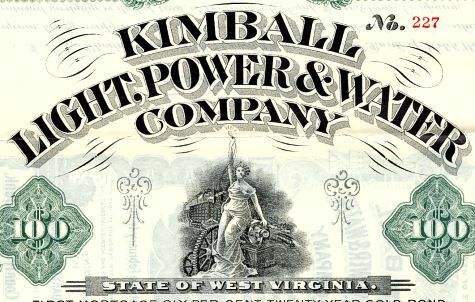 This item has the signatures of the Company's President and Secretary, Charles H. Warford and is over 96 years old.